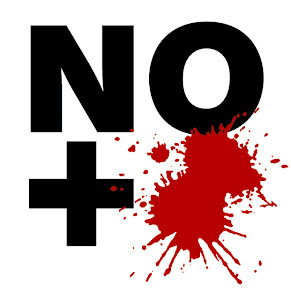 The national leadership of Mexico’s Institutional Revolutionary Party (PRI) has announced a strategy to prevent the infiltration of organized crime and illicit funding during the 2012 election cycle. PRI president Pedro Joaquín Coldwell, a senator from the state of Quintana Roo, said that the party’s new strategy document contains all the necessary measures to ensure a clean campaign. 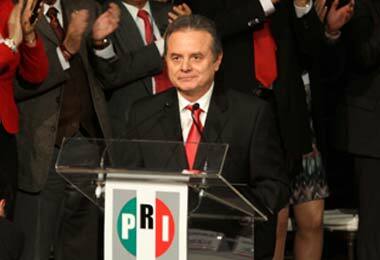 It will be mandatory for all PRI candidates to abide by the new rules – even presidential candidate Enrique Peña Nieto. Specifically, Joaquín Coldwell announced the creation of a Financial Supervisory Commission (Comisión de Vigilancia del Financiamiento) that will oversee the implementation of measures to prevent money from drug cartels finding their way into a candidate’s coffers. Candidates must disclose all assets and assert under oath that they have no ties to organized crime. Given that the PRI perfected corruption in their 70 years in power, to ask one of their politicians to take an “oath” to stop the flow of money from organized crime would be about as effective as using a sieve as an umbrella. The PRI is also insisting that candidates provide proof of having no criminal record, as well as any information regarding any possible criminal investigations. All of this information will be made available to authorities, and if there is convincing evidence that a candidate has connections to organized crime he or she will be rejected as a candidate. However, the party reserves the right to promote a candidate who might have a questionable reputation or be the subject of gossip in order to protect candidates from smear campaigns. To assists candidates, the PRI will be offering training sessions, as well as providing candidates with a financial manual that clarifies the mandatory measures – all in the hope of making the process more accountable and transparent. The document will be voted on next Wednesday. Joaquín Coldwell is encouraging the leaders of the PRI at the state level, as well as in the Federal District (Mexico City), to sign the agreement. He also requested that law enforcement authorities, electoral bodies, and other political parties cooperate and strengthen their own procedures in order to shield the election from corruption. At a press conference where he was accompanied by Secretary General of the PRI, Cristina Díaz Salazar, Joaquín Coldwell said that specialized units that operate with a degree of autonomy are required to prevent corruption, crime and money laundering, and that this plan follows those “best practices”. It is uncertain, however, how effective such a plan would be at combating the historically corrupt practices of the PRI, who are extremely skilled in this area. The easiest route around the rule is to use family members – in 1995, for example, the brother of former president Carlos Salinas, Raul Salinas, was found to have over $100 million stuffed into various European bank accounts. The president “didn’t know” about this. His older brother Raul worked as a midlevel civil servant. As it stands, the PRI campaign of presidential candidate Enrique Peña Nieto was thrown off balance after it was found late last year that PRI president Humberto Moreira ran up $3 billion in debt in the not-very-rich state of Coahuila, where he had been governor. Humberto Moreira was forced to resign. More recently, late in December the PRI was caught in more hanky-panky, resulting in the annulment of the mayoral election in Michoacan, Morelia. Which is to say, the PRI still has a long, long way to go before it is truly a “clean” political party.